A layperson may look at sales of $670 million and question how that could be disappointing, but that’s exactly the position dietary and nutritional supplement retailer GNC finds itself in. And while outsiders point to GNC’s public dispute with the New York Governor General over labeling and transparency issues, CEO Mike Archibold cites the reduced engagement with consumers through direct mail and e-mail as the main reason for the decrease in revenue. Instead of placing the blame on external factors, Archibold points to a much more practical reason for the decrease in overall revenue, stating that the company was reviewing the effectiveness of its marketing efforts, which caused them not to communicate with its consumers much at all during the first quarter. Living in the current social environment, where consumers are constantly connected to their smartphones or other mobile devices, means finding ways to consistently communicate with these individuals is not only crucial to the success of business, but essential. Consumers need to be reminded why they should remain loyal to your brand or why they should buy into your brand in the first place, and that can only be accomplished through active communication. Direct mail and e-mail are two of the most effective ways of communicating, which GNC clearly recognizes. Both are personal, particularly in the case of direct mail, and both are sent directly to inboxes or mailboxes, which increases the probability of these pieces being opened and revisited. 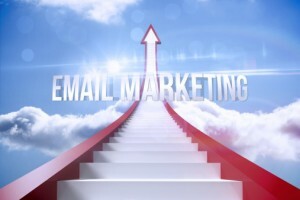 Macromark has extensive experience both in direct mail marketing and e-mail marketing as a trusted e-mail list broker. We are capable of leading successful direct marketing campaigns and executing the vision of our clients in meeting their targets. Our web site provides more details on how Macromark can help lead your next direct mail or e-mail marketing campaign.